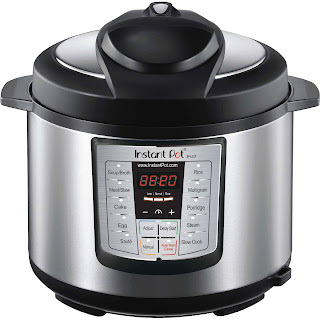 Hurry on over to Walmart.com and score this Instant Pot Lux 5 Quart Pressure Cooker for ONLY $49 shipped (regularly $69.99)! This is the price it was advertised for on Black Friday and we have no idea how long this will last, so hurry! This awesome 6-in-1 multi-functional cooker can pressure cook, saute, slow cook, steam, and so much more – you can even bake cakes in it! It features a large and easy to use control panel with 10 built-in smart programs and it automatically keeps your food warm for you.